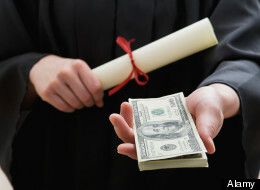 Is that fancy, expensive college degree really worth the cost of several years of tuition, room and board and books? Everyone knows that the cost of education is skyrocketing, but the answer is still YES! Wondering which colleges have the best ROI? Return on investment is the “financial return” from any investment of money, or in this case, the income amount above and beyond what a high school graduate would make. The investment is the cost of that degree, on average, minus the average student financial aid at each college. As a general rule, college IS worth the investment, not only in terms of increased incomes, but also for job security and happiness. But not all colleges (or degrees) are made equally in this sense. Some colleges, such as private schools, generally cost twice as much as in-state public schools. Some colleges have a closer network of alumni which may help in job prospects, while others have really high graduation rates. Want to see how Texas college compare on ROI and graduation rates? You might be surprised! 2013 Costs= The total cost to attend that school (tuition, room and board, books and supplies) weighted for the length of time it takes most students to graduate with a bachelor’s degree. Net ROI= The total income that a graduate will earn after graduation in 20 years of working, minus both what they would have earned as a high school graduate and the cost of college (tuition, room and board, books and supplies), minus the average financial aid amount awarded to students at that school if that filter has been selected. It is their net earnings in 20 years as a college graduate. Average Texas college graduation rate is about 50%. TSU and UT-San Antonio have horrible grad rates at 12% and 28%, respectively. Not surprisingly, Texas A&M has the highest ROI rate. It graduates a lot of engineers and boasts a strong Aggie network. Others in the top ROI rate include: Prairie View A&M, UT, Texas Tech, Texas Women’s University, UT Dallas, and University of Houston. Colleges that round out the bottom of that list are St. Edwards, University of Mary Hardin Baylor, Southwestern University, Abilene Christian University and TSU. The first three don’t even have a positive return on the financial costs! Obviously, one chart with a couple of metric is not enough to judge an entire college and its programs, but parents and college-bound students should keep these numbers in mind when picking colleges and trying to save for the expenses.